Remodeling your kitchen or bathroom is one of the greatest investments you can make in your home. It can also be one of the most overwhelming projects to undertake on your own, which is why many homeowners chose to hire a professional kitchen and bath designer to handle all the details. But while bringing in a pro to take some of the stress off your plate is a great idea, it doesn’t necessarily mean you’re guaranteed a smooth project from start to finish. The relationship you have with your designer makes all the difference in how well your room comes together and whether the vision you have for your new room turns into a reality when all is said and done. Follow these seven tips for starting off on the right foot and giving your designer what he or she needs to be successful for you. Thorough, thoughtful preparation is key. Before taking on a project of this magnitude, take some time to think about it. The more time you spend in a space, the more you understand what you like and don’t like about existing features, how you use the space, and what you want and need. Tape off areas where you envision certain elements, such as a kitchen island, and live with them awhile to see how the space works for you. There was once a time when you might keep a design notebook filled with pictures, color charts, fabric samples and notes of the styles and products you love. Now this can be digitized. After creating a myProSource account, you can upload inspiration to your Project Center to share with family, friends and your trade professional – in one central location. This inspiration will inform your designer of your preferences and tastes in certain styles, colors and patterns. Let your designer see your true personality. Make sure they have an opportunity to meet your spouse, kids and anyone else who lives in your home. The better they know your family and what makes you tick, the easier it is to design for you. Schedule a visit with a local ProSource Showroom to meet your team. Don’t be put off by their questions! A good designer will ask many… not to be nosey, but to get a complete understanding of your likes, habits, requirements and expectations. Accurate dimensions are very important. Measure, then measure again. If you’re unsure of exactly how to measure, have a professional handle this for you. Your local ProSource Showroom can also provide tips on how to get the right measurements for your remodel. Be honest with your designer – and yourself – about the budget you have set aside for your remodeling project. Knowing how much money there is to work with up front will allow your designer to help you select the best products available, and not waste any of your budget on unnecessary items. Talk about your wish list up front and let your designer help you decipher between your needs and wants so that you can be sure to stay within your means. 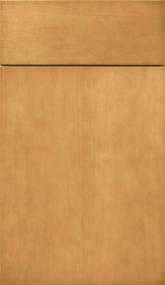 Appliance model numbers help with dimension and give the designer an idea of the quality of cabinets to select. If your appliances are high end, your designer won’t want to select lower quality cabinets to go alongside them. A remodel is never simple. Understand that your designer needs time to design, plan and order materials before the real work starts. It may take several months, and there may be delays and stresses along the way, but trust that you’ve chosen the right professional to get the job done to your exact specifications. Try to relax and enjoy the process. If you’ve done your homework and chosen the right designer, you’re halfway there. Creating a strong relationship with your designer will take you all the way to ensuring a smooth project from start to finish. Visit your local ProSource Showroom to check out the latest kitchen and bathroom displays. While you’re there, learn about our expert design services, and share the inspiration and products images you’ve saved to your myProSource Project Center.